New Online Options to Better Serve You! We’ve improved our online account service to better serve our more than 383,000 customers using Manage My Account. We’ve added new options so you can more conveniently manage your account anytime, anywhere. Now, you can enroll in Budget Payment Plan and AutoPay online on your own. Online enrollment now available for AutoPay and Budget Payment Plan. 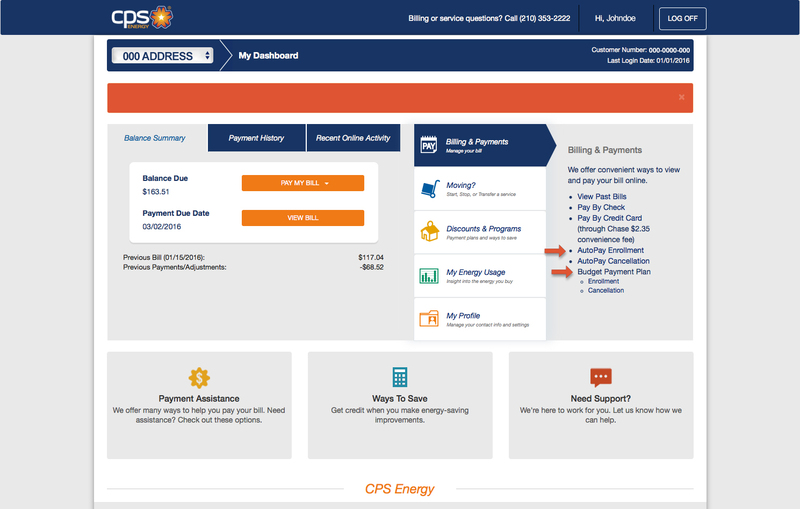 Budget Payment Plan takes the guesswork out of your bill. Instead of wondering how much energy you’re buying as the weather changes throughout the year, you pay the same amount every month. We do this by averaging your bills for the previous 12 months to give you one equal monthly payment. Paying the same amount each month allows you to better manage your finances. Don’t want to spend precious time paying bills? Autopay is your solution. With AutoPay, your payment is automatically deducted from your bank account every month. That’s one less bill to keep track of paying. To use our new online services, create an online profile in Manage My Account. Setting it up is simple and secure and only takes a few minutes. Manage My Account gives you the freedom to take care of business from anywhere without having to wait in line or make a phone call. And, it lets you do business with us 24 hours a day, seven days a week. We’ve also automated our system so starting new service is now quicker than ever. When you activate new service, you’ll receive your account number in minutes. Having your account number quicker lets you use our other online services. And, if you’re moving to an apartment, you’ll be able to facilitate your move easier. We’re happy to be a leader in our industry with nearly half of our customers enrolled in our online services. That’s less paper and waste for our environment. Enroll today!